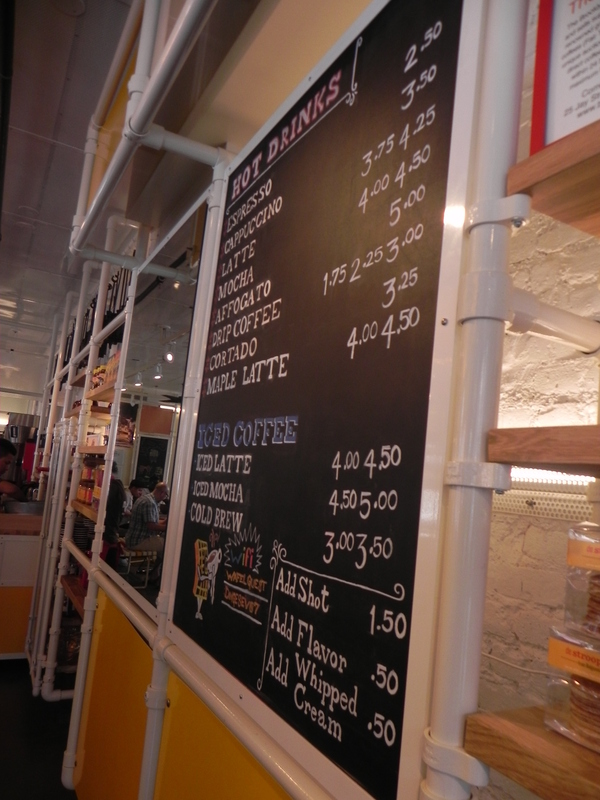 Wafels and Dinges Cafe: Living up to the hype? 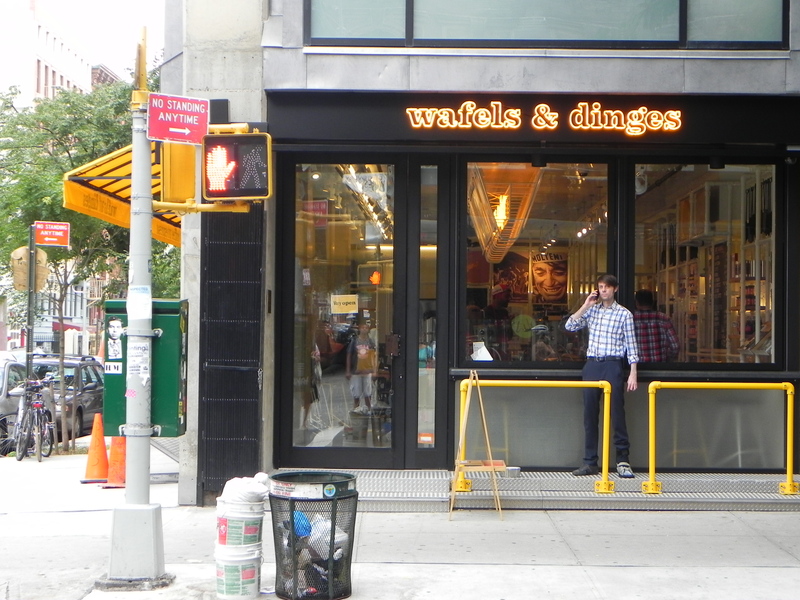 So you might or might not have heard the great Wafels and Dinges food truck has recently opened their new cafe on the corner of Ave B and E 2nd Street in the Lower East Side. For our thoughts about the food truck, you can visit this link here. 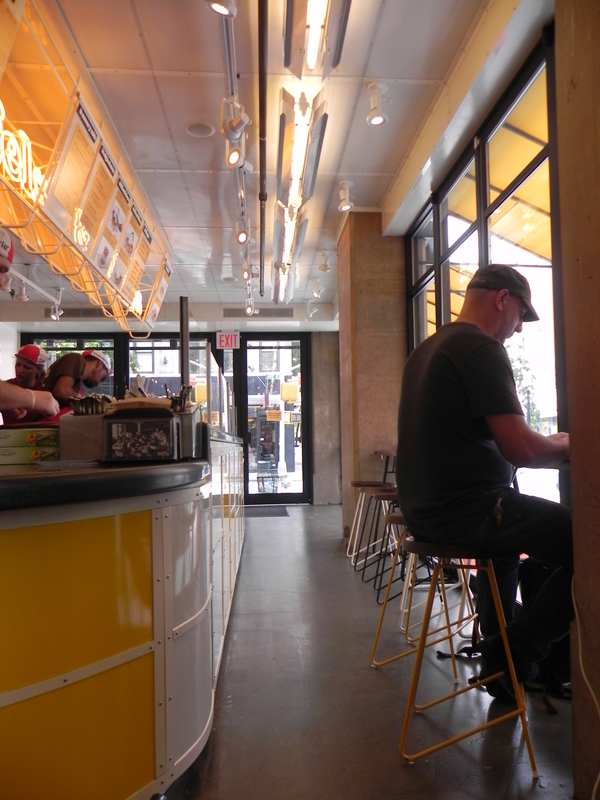 The decor is flawless and totally in tune with their image and friendliness from their food truck stands. As you reach for the door knob, you already feel like you’re in wafel paradise because you are really reaching for a spatula ! 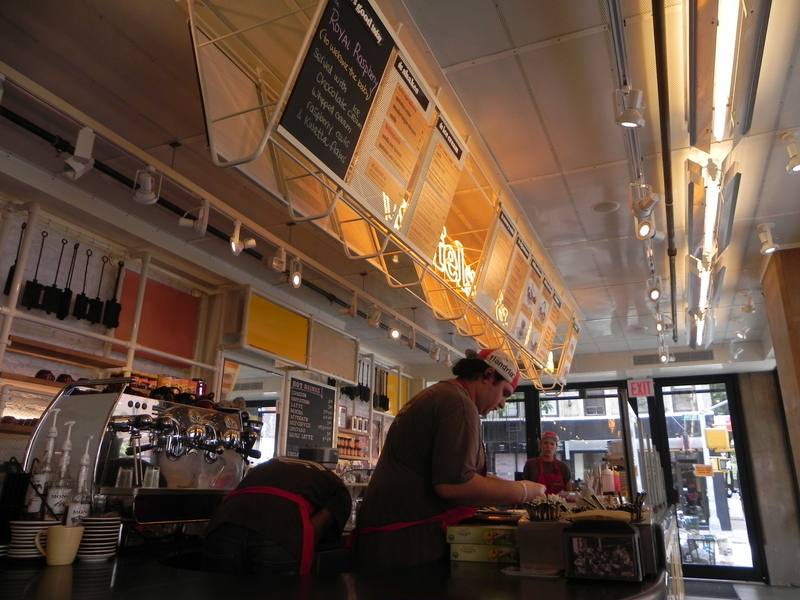 The wafel station is like an island in the middle of the cafe and there are menus on both sides that reminds you of the food truck menus. However, the prices are a bit higher (by a dollar or two) because I’m assuming of the indoor service they are providing. 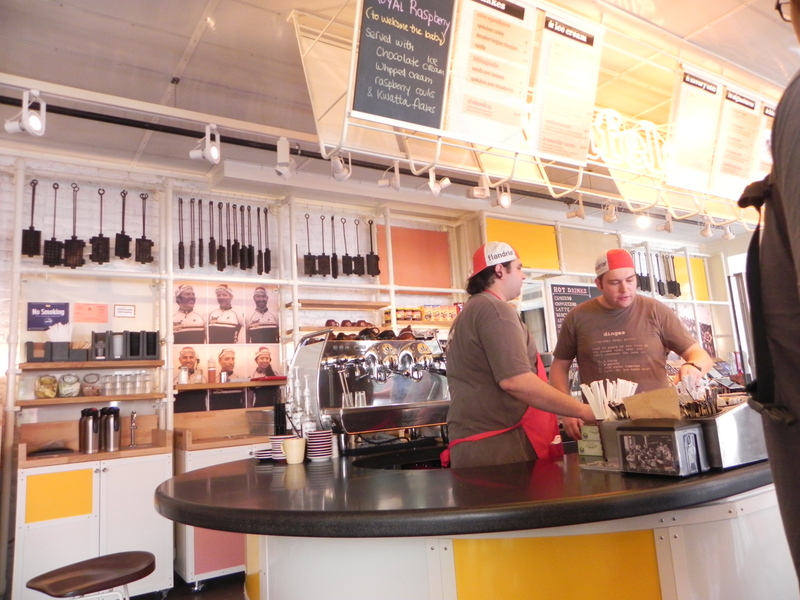 Also, I believe they offer a lot of various items such as the affogato and specialty shakes, that the food trucks do not offer. The seats remind me of sitting in a kindergarten classroom since they are low and there are benches that have the same color theme of yellow and brown. 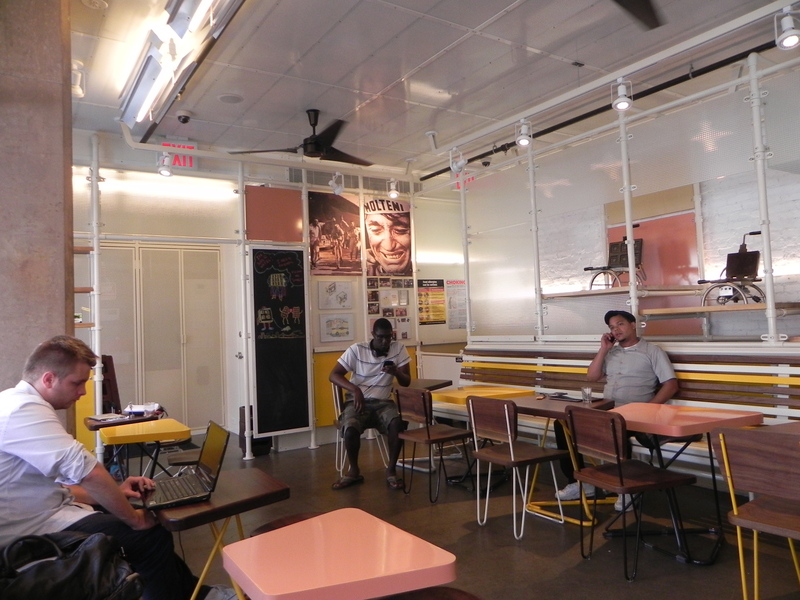 You can also grab the daily newspaper on the side of the cafe and sit all day with the Wifi provided too. The WiFi password is located on the chalkboard menu right in front of the cash register. Near the back and the restroom area, there is also a fun little chalkboard area where you can draw little waffle characters or whatever you enjoy doodling for the other waffel lovers to view. 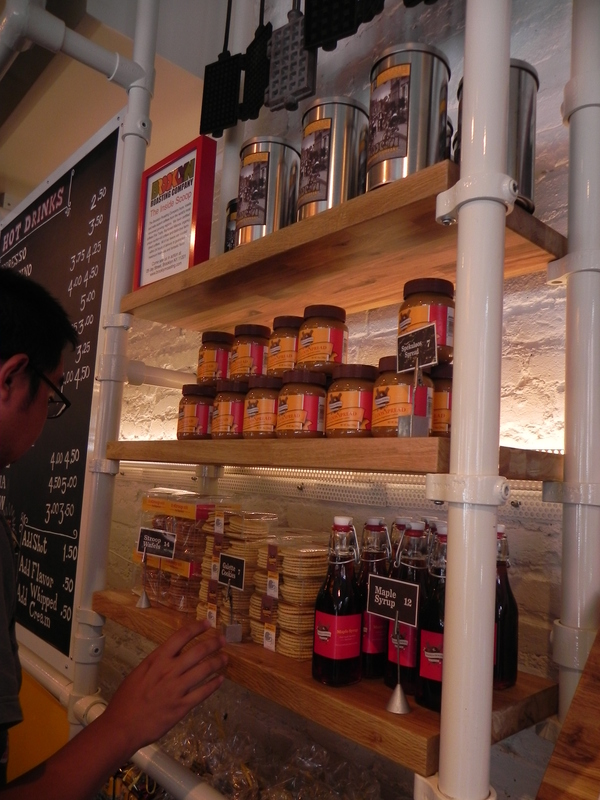 The cafe also features some shelves of books and even their own infamously delicious speculoo jars and maples syrup jars. Be sure to explore around every corner of this place! Okay let me explain this rating before you go all crazy on me! 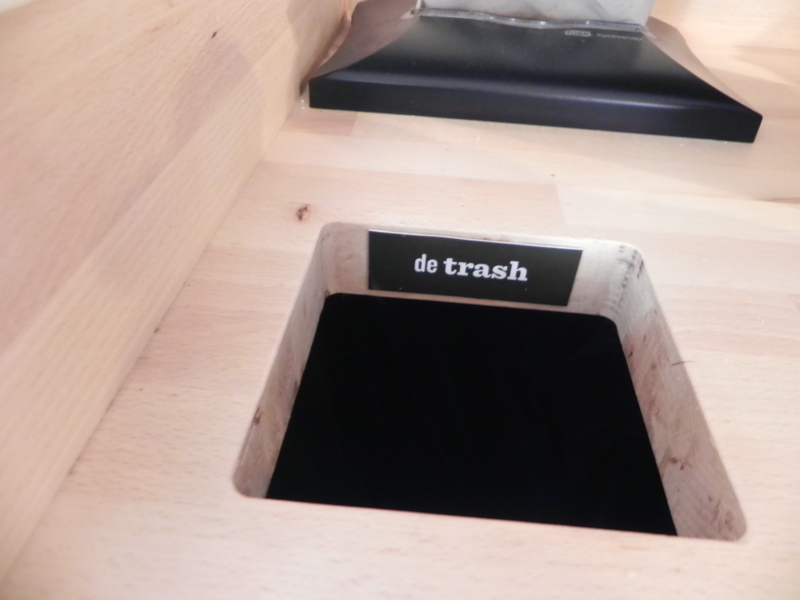 I guess I was expecting a lot more from them than they could have done…I ordered the WMD Brussels waffel for $8, but I was expecting the same freshness from the food truck…but that didn’t happen. The waffel was a bit cold even though all the toppings were fresh and the plate was beautifully decorated. I am assuming because the place was pretty empty, they don’t sell fast enough. I did however love the staff as always for their friendliness and courtesy. I ALSO loved their dang deliciousness mug of pleasure, called the Bailey’s chocolate shake. Oh baby, it was like pure heaven. 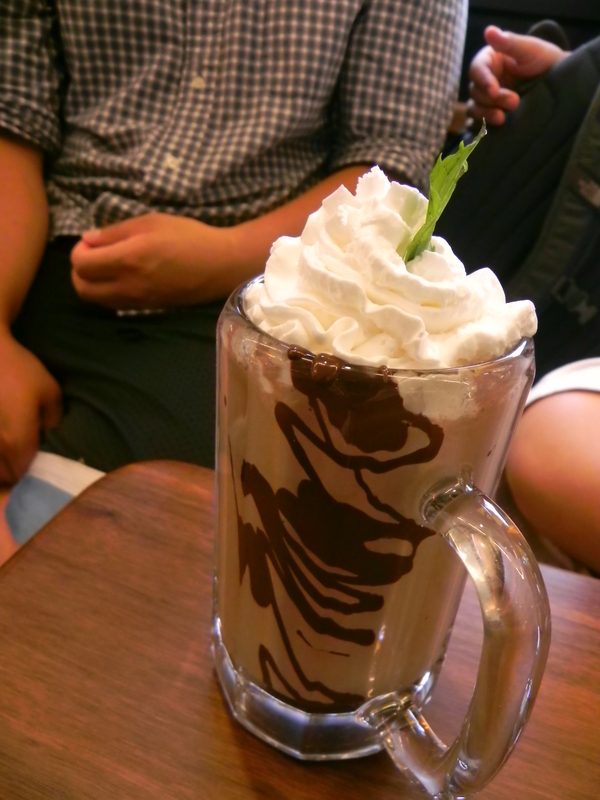 Great for the hot summer day and chocolate milk lovers because of its thickness and silkiness at the same time! A nice little shop, but not located near the heart of New York. It’s in a rather strange location, but I guess it’s close to Wiliiamsburg at least. The decor in the place is quite nice. I like the colors and it’s just warm place to be. The staff is just amazingly friendly as well the manager/ boss. This manager/ boss guy just kept getting us straws and utensils, and kept asking us how the food was. We had no idea he was the manager/ boss because he wasn’t in uniform and he just looked like some in guy on his mac in a cafe. Aside from the splendid service and decor, their food was good, but not as good as the food carts surprisingly. They have some things on their menu that are only available at their restaurant, so you should stop by here if you want to try something new! I ordered a Bailey’s Chocolate shake, which was a bit expensive ($8) but it tasted awesome. Basically, its an chocolate ice cream shake with Bailey’s chocolate fudge on the sides topped with whipped cream and a basil leaf. It’s not very thick and you can drink it up with a straw. Very rich, creamy, and smooth! I can drink it all day! The wafel… was not as good as the carts sadly. 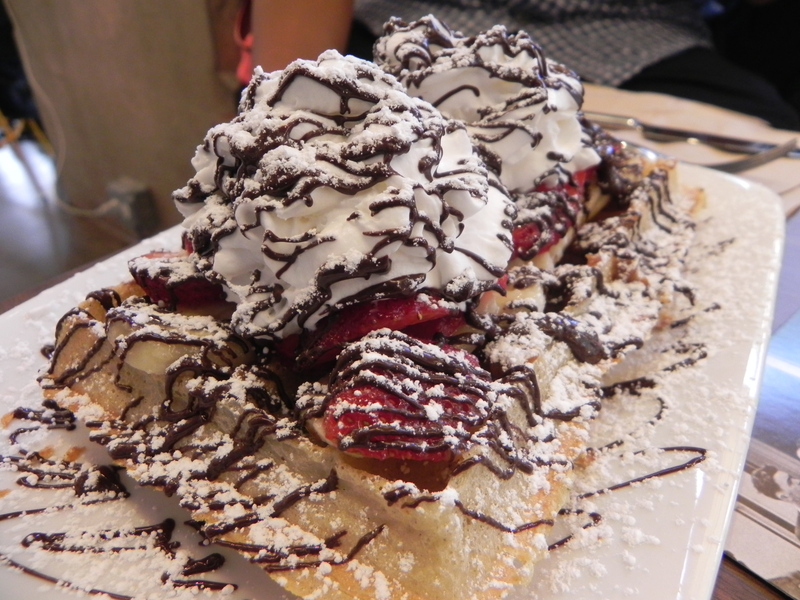 Pinky ordered a WMB waffel with strawberries, bananas, fudge, and powdered sugar. 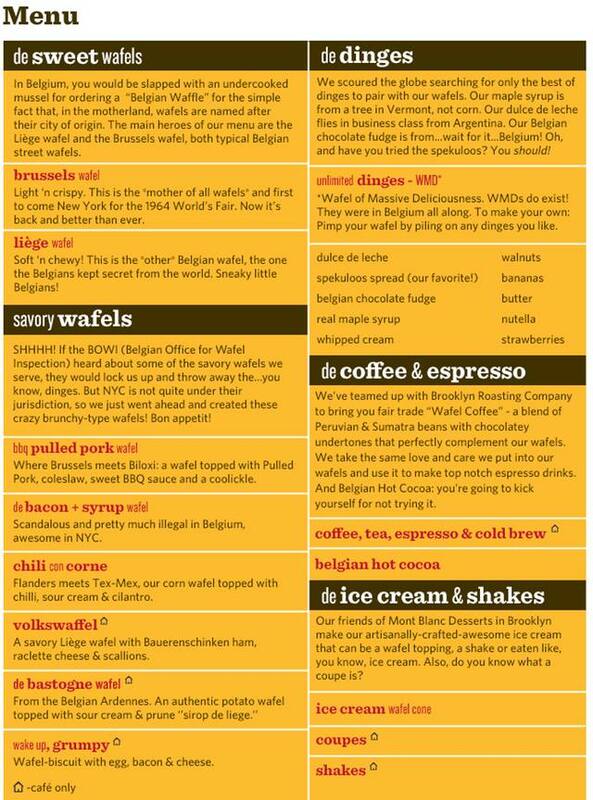 The wafel wasn’t warm and didn’t taste freshly made. They grabbed a wafel from their tray and we weren’t sure how long it has been out there. The bananas were mushy and warm. Aside from that, it was okay. I guess it’s different from the food carts, because they make the wafel in front you. Overall, if you want to try something that’s not from the carts, I would check this place out. It is definitely out of the way though. A bit pricier too, by at least $1. 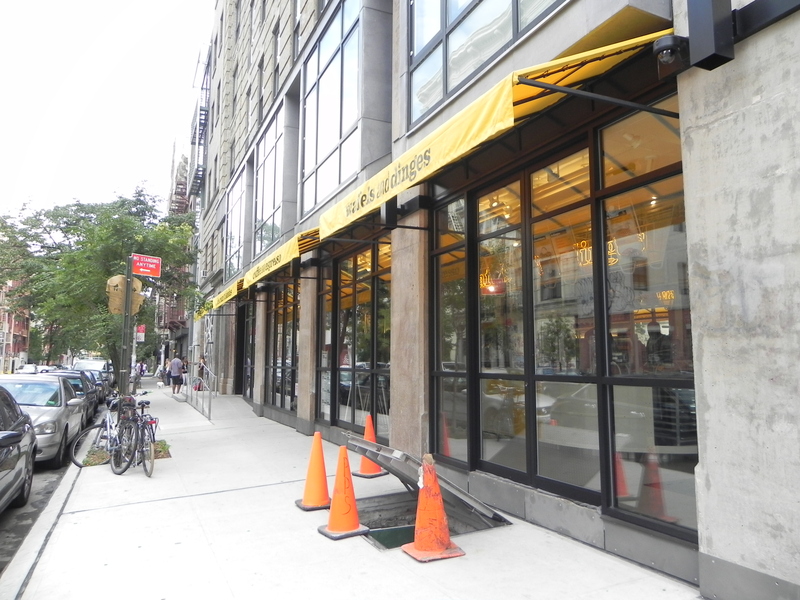 Posted on July 26, 2013 July 26, 2013 by pinkytwinkieeePosted in manhattan, New YorkTagged bailey's, belgian, brussels, chocolate, coffee, cute, dessert, espresso, food, just opened, new, New York, nyc, savory, shakes, sit-down, sweet, wafels and dinges cafe, waffles, wifi. Next Next post: Hey, It’s Jurassic Park?